Home Barefoot Transition Tuesday’s Back Y’all!! Ok well it’s not exactly Tuesday but it was written on Tuesday so technically I’m not too far off. Kevin Myers began the series, Transition Tuesday, some time ago. Kevin chronicled not only the transition from shoes to barefoot with their horses, but also the transition for himself and Rusty. It was informative and sometimes hilarious. Unfortunately, you won’t be reading about the greased pig effect of silicone and Gloves during MY transition, but I hope there will be something of use for someone! 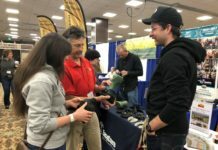 While I know most people who read the Easycare blogs are already barefoot and well on their way to success, there are others who have yet to or have just made the decision to yank the shoes off their horses. 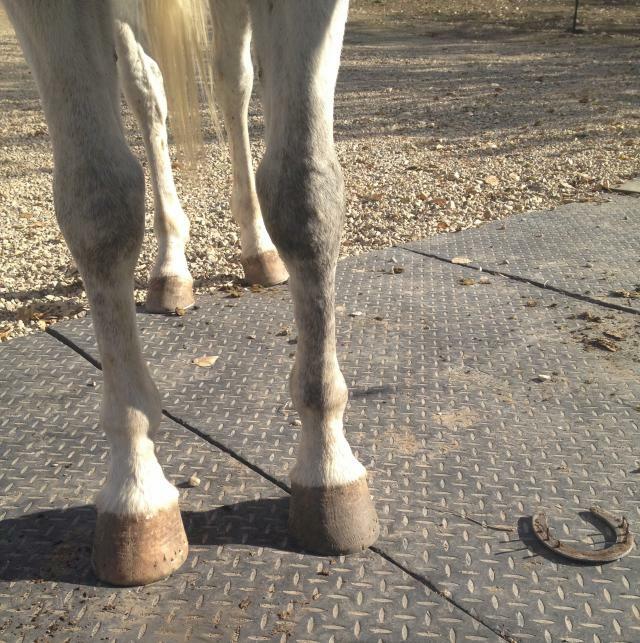 It’s a scary decision if you’re new to barefoot/booted riding, but once made, rarely will you go back. 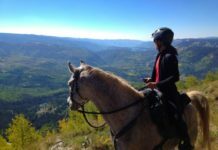 The decision is much less scary when you’ve done it before, but there is still a little anxiety as to how this particular horse at this particular time will handle the transition. 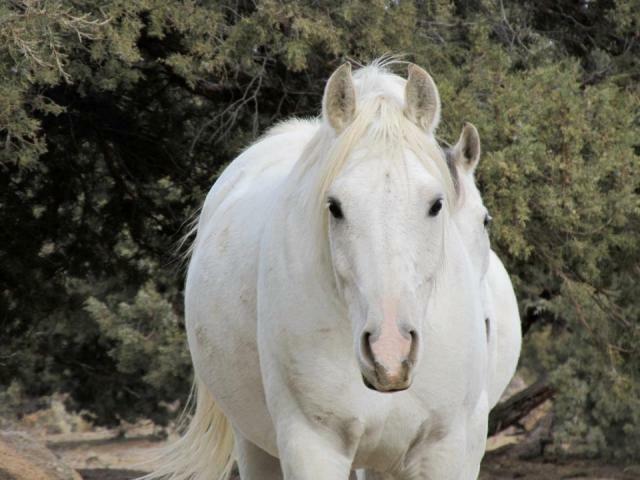 Nero is a 9 year-old CMK gelding. He has 1,820 endurance miles. All shod. He is in his prime and absolutely *loves* his job. I’ll be taking Nero on for the next year, and hope to add many successful endurance miles to his record. Of course, these miles will done booted. I can only hope to do this fine horse justice. Nero came to me in shoes, set about six weeks prior. He was off, right front, with no discernible reason. Upon close inspection, I came to the realization that I couldn’t really fault his shoe job. 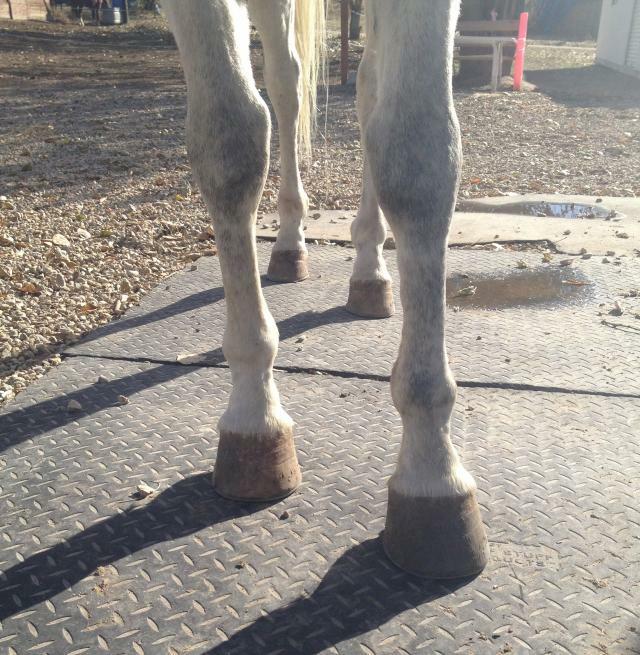 While I obviously don’t shoe my horses, if I did, I would want their feet to look like Nero’s. His heels were nice and open, the shoes were set wide, and his break-over was very nice considering he was six or more weeks into the set. Setting the foot down, I noticed that there were no flares and his coronary bands were very straight and not pushed up like I see a lot of shod and even barefoot horses. 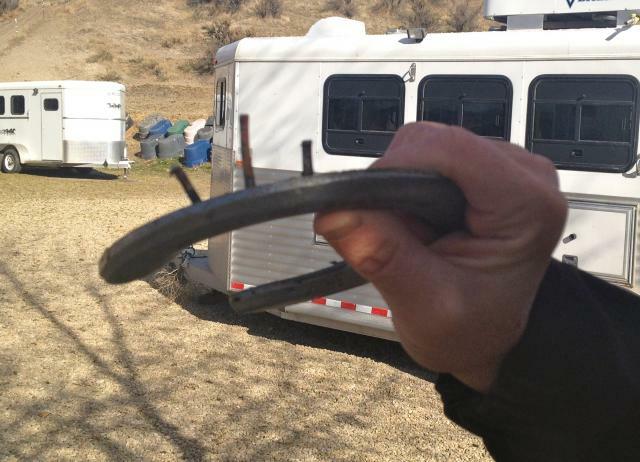 This says a lot for the trim he was given prior to shoeing. Unfortunately, none of this gave much reason for his lameness. I could only hope pulling his shoes helped, but at least I knew pulling them wouldn’t make him more lame, or I hoped anyway! Luckily, I married the right guy for this job! 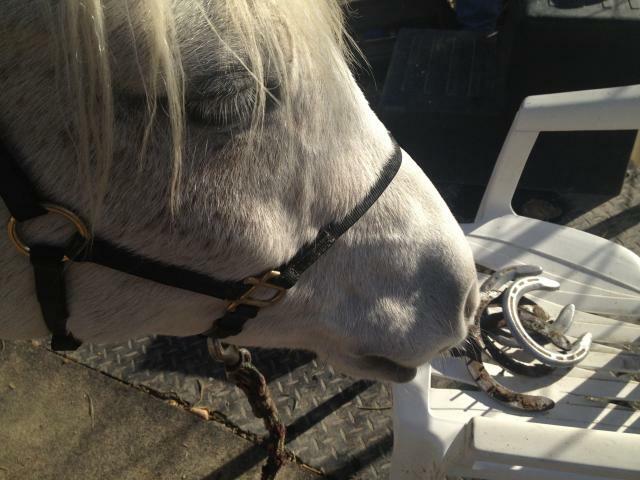 My husband, who is an equine veterinarian, came out to take a look at Nero and help (help meaning do) pull his shoes. He noticed right off the bat that there had been a nail set on the outside of the right front, much higher than the rest. Nero was obviously uncomfortable when pulling that side of the shoe off, and settled when the nail came out. 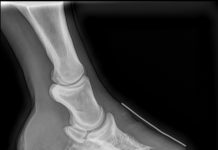 He also had some slight separation of the white line at the quarters, and had a funny looking crack along the toe that may have had too much pressure from shoe and dirt, and could have been causing some soreness. At this point, it’s all speculation. Time will tell. 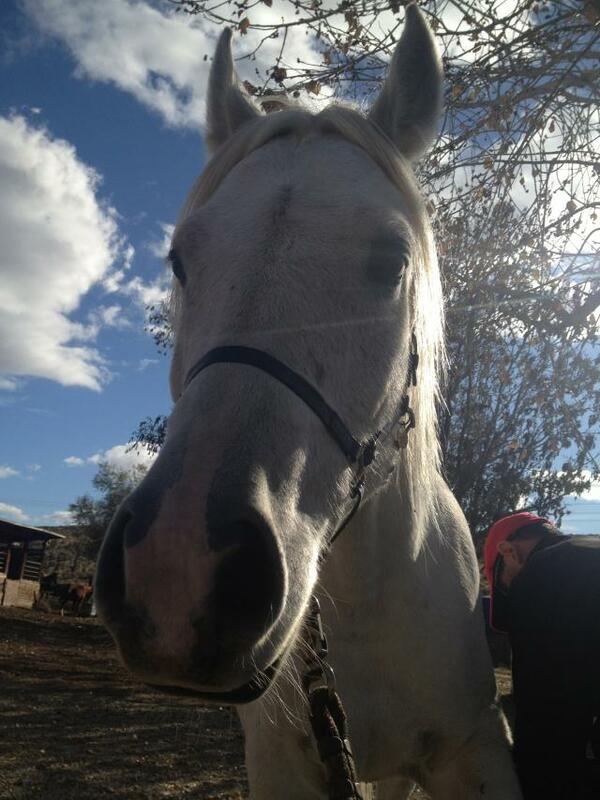 After pulling Nero’s shoes, I very lightly rasped the walls to round them, and headed back to the round pen. While I know he needs a trim, I like to give them a bit of time to settle without changing everything all at once. As for that day, wouldn’t you know Nero was SOUND! Sound and sassy – a great combination! He was turned out on the hills with the other two boys the next day, and I will be doing a real trim on him in a few days. While this isn’t the best time of the year to transition due to the fact it’s about the freeze and get REALLY hard, we’ll do our best! Throughout the winter, I’ll be writing once a month about our experiences getting Nero going from shoes to boots and hopefully completely barefoot as he lets us know he’s ready. 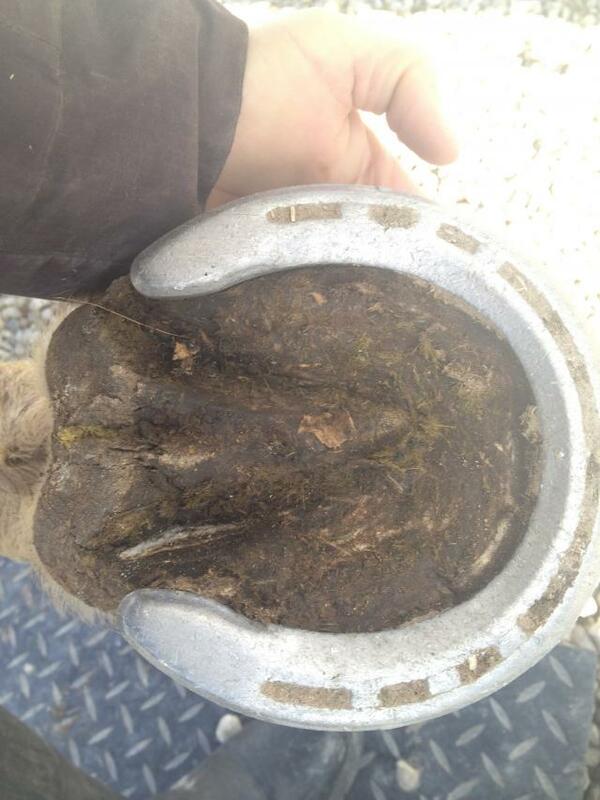 This is the fourth horse I’ll have transitioned from shoes to bare, hopefully the fourth SUCCESSFUL horse! 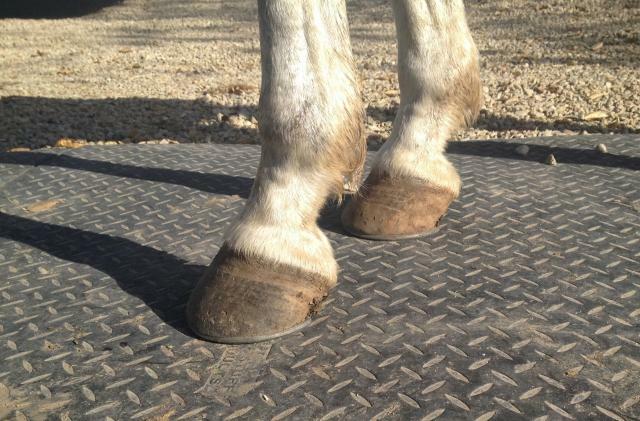 This horse has incredible feet and incredible abilities as an athlete. I cannot wait to see what Nero can teach me through the process. Stay tuned for more Nero. I can’t get enough of this face, can you? Next time: why you should buy Easyboots instead of crack. Oh yes. There are many reasons.